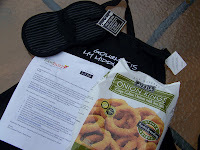 I received a lovely surprise as part of the Foodbuzz Tastemaker Program recently when they sent me an apron, pot-holder and a coupon to try Alexia Foods. I was excited heading to the frozen section of my grocery store to find an Alexia brand product to try out. I looked over all the tempting choices when I saw them.... onion rings. I love onion rings, but I only order them if I go to restaurants because most frozen onion rings are just not that good (most don't even have real onions). These Alexia brand onion rings are fantastic. Alexia onion rings are made with real Spanish onions, seasoning and panko bread crumbs then frozen for our convenience. They only took a few minutes in the oven and I was thrilled that I finally had restaurant quality real onion rings at home. I decided to put them on top of my burger and dress them with my homemade yogurt sriracha sauce. I also ate them as my side dish because when you meet a good onion ring you don't want to just have one. :) The kicker is my son who dislikes onions in his food with a passion ate some of these onion rings and said they were really good. Say what? 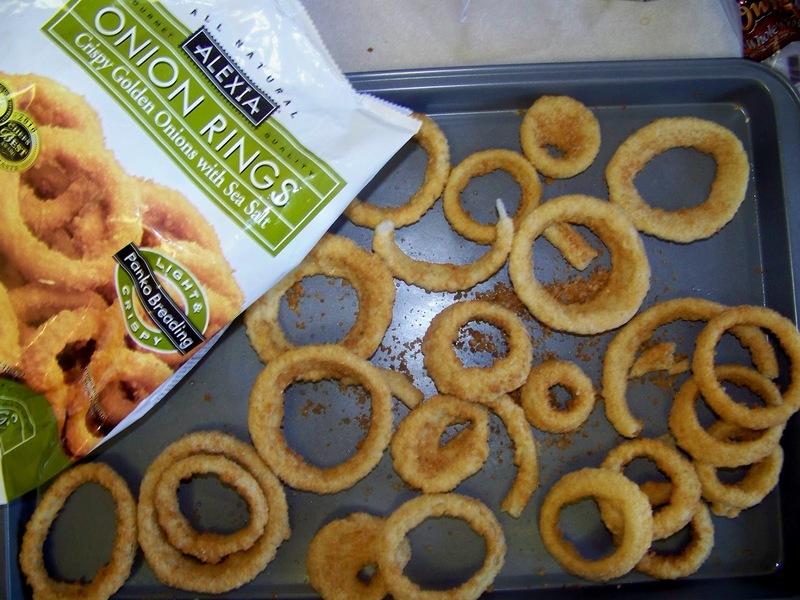 These Alexia Onion Rings scored big in our family so when you find a winner you stick to it. 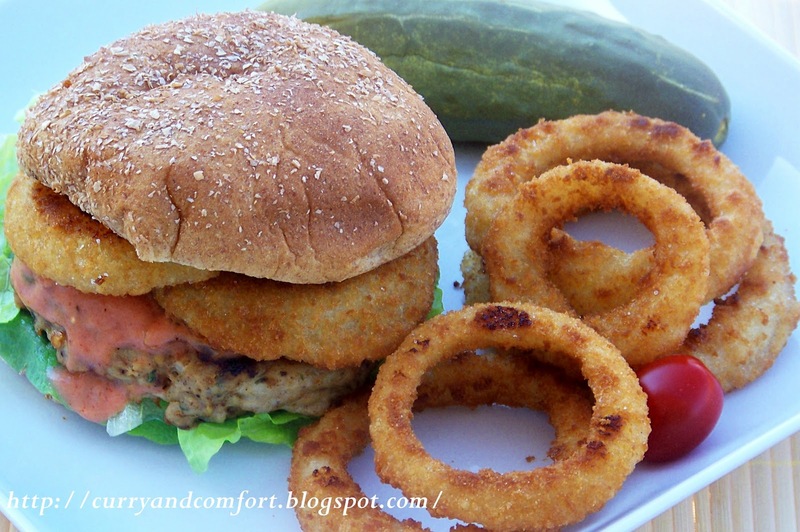 Note: this quick masala spiced chicken burger is the burger I used in my onion ring burger. You can use any ground meat you prefer and season it as you wish because topping it with the onion rings is best part. Mix all the burger ingredients (except onion rings) and make 4 large burger patties. 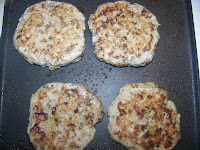 Then fry burgers on both sides until cooked through. 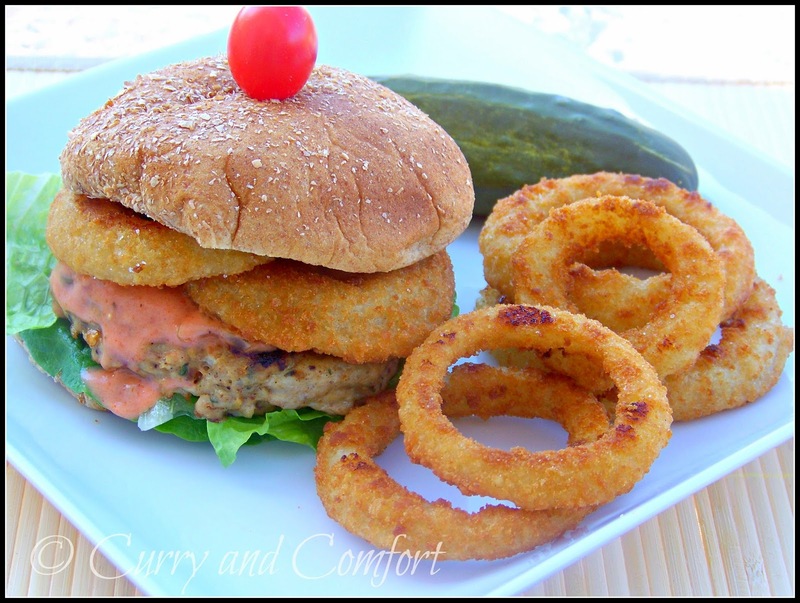 Serve on toasted hamburger bun with onion rings and sriracha sauce. Garnish with lettuce and tomatoes if you desire. Enjoy. Disclosure: I received a coupon from Foodbuzz Tastemaker Program courtesy of Alexia Foods. I was not paid to write this post. The opinions stated in this post are my own. Thank you. The sriracha sauce looks interesting, do you get it readymade..
Hi Hema, the sriracha sauce is a Vietnamese or Thai Chili Sauce found in Asian Markets and even American Grocery Stores. I used it with the yogurt, ketchup and other ingredients to make a creamy "special sauce". 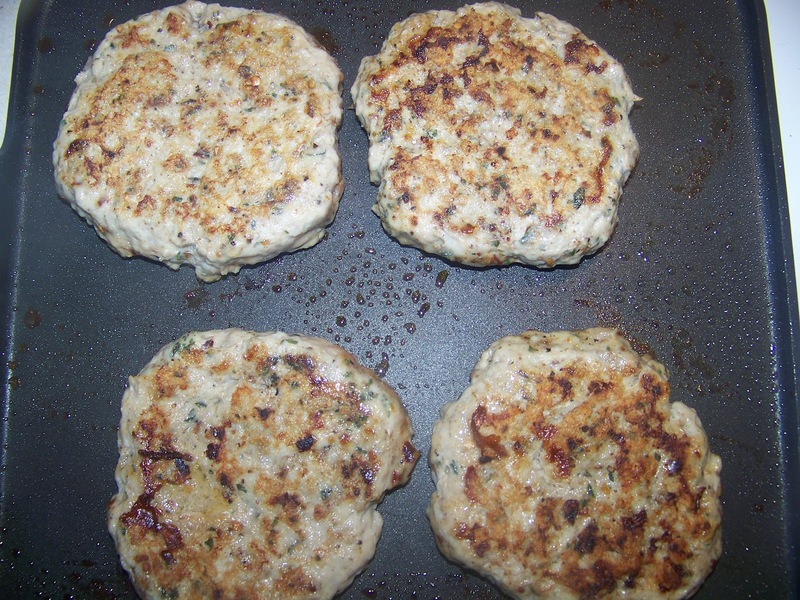 You keep making awesome turkey burgers! I have to try it. and with onion rings on top, they must be just great! Looks so yummy! Very dangerous with that sriracha sauce. I love it though! Wow I'm so surprised that those are frozen onion rings, they look homemade or straight from a restaurant! I tried the Alexia sweet potato fries, really good as well! This burger sounds incredible. Anything with sriracha in it scored big in my book. Yum! I do not eat burger much,But I do like this version,Very creative on that sauce,,YummY on top this burger !! Great burger! I'm glad you've found some onion rings that you like. They don't sell any here at all so if I would like to eat onion rings I need to make them myself! These look phenomenal! I love any kind of turkey burger, love the addition of the Sriracha! Oh wow, this looks amazing! Those onion rings--mouth watering! 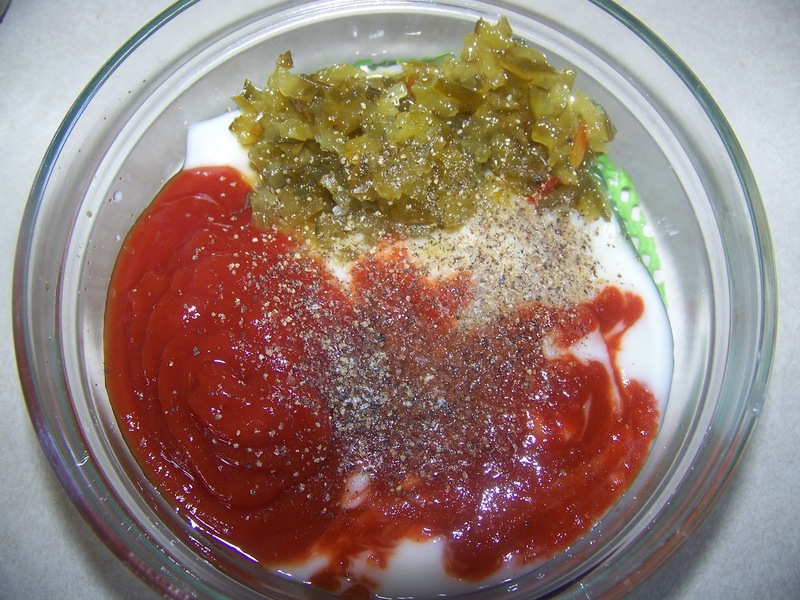 I love eating sour cream and Sriracha Sauce together so I'm sure the yogurt is delicious as well! These look beautiful :) Hope you have a lovely day! I couldn't believe the rings were from frozen either. This looks so delicious! I love onion rings and they look high quality. Lovin that burger too. I'm sure I would want more than one of them. Woah! the onion rings look perfect and so does your burger. 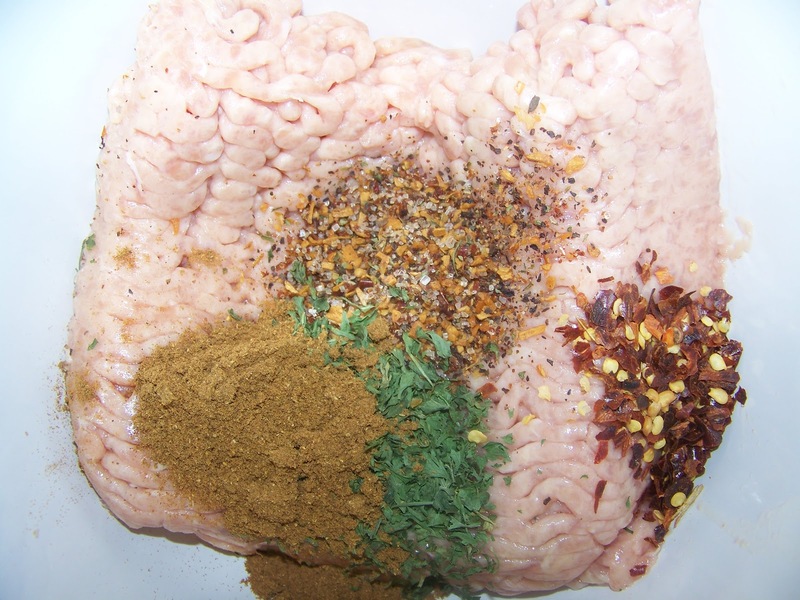 This would be the perfect food for a tailgate or garden party in the summer! Looks great! Burgers and onion rings, yes! And the yogurt-Sriracha sauce sounds delicious! 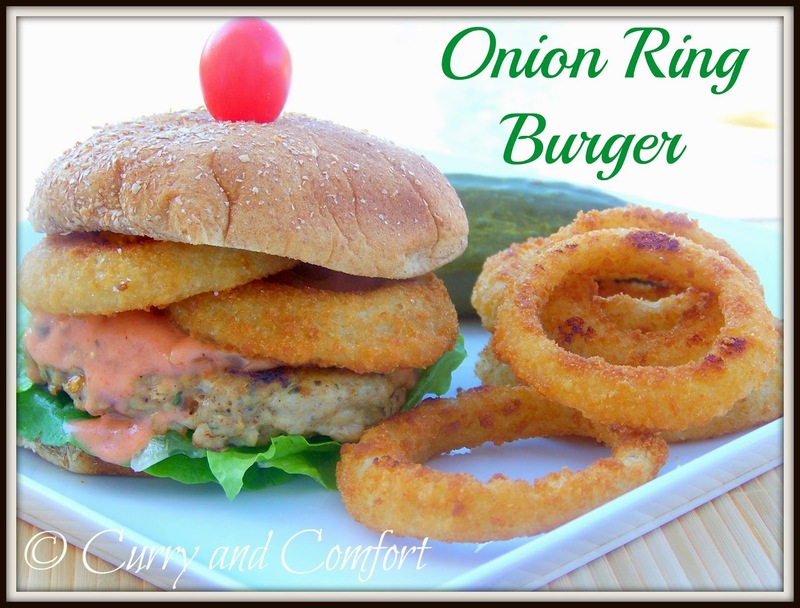 Will soon be looking for these onion rings in my store........great presentation & awesome looking burger. Onion rings in burger? That must be good. I like the yogurt sauce for the burger too. Have a great weekend! I don't know about the onion rings but the burger looks delicious! 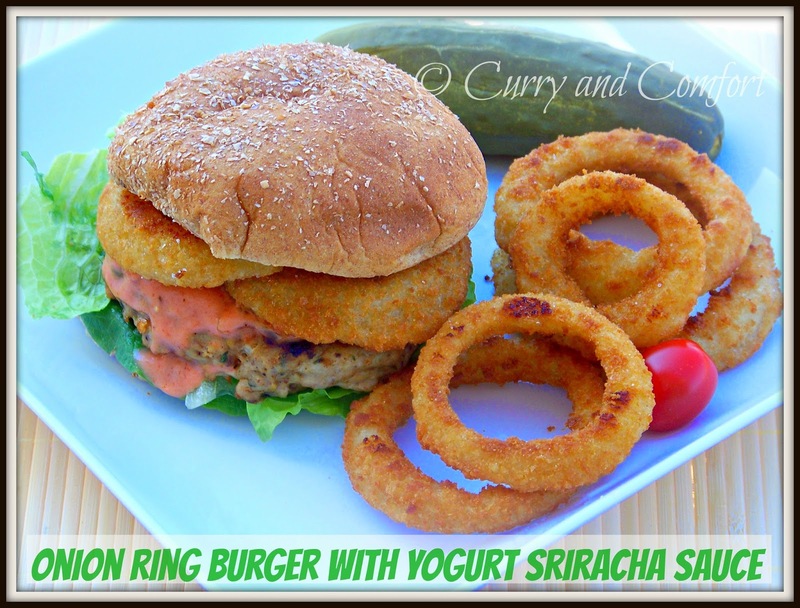 Clever dressing with the siracha sauce and great idea to add garam masala to the burger! Look at all of the great flavors in the burger! This sounds like a tasty burger! And the onion rings sound really good too!